Forget carpool! This beautiful four bedroom, three and a half bath Cherokee Bend home is just steps from the adorable and award-winning Cherokee Bend Elementary School! 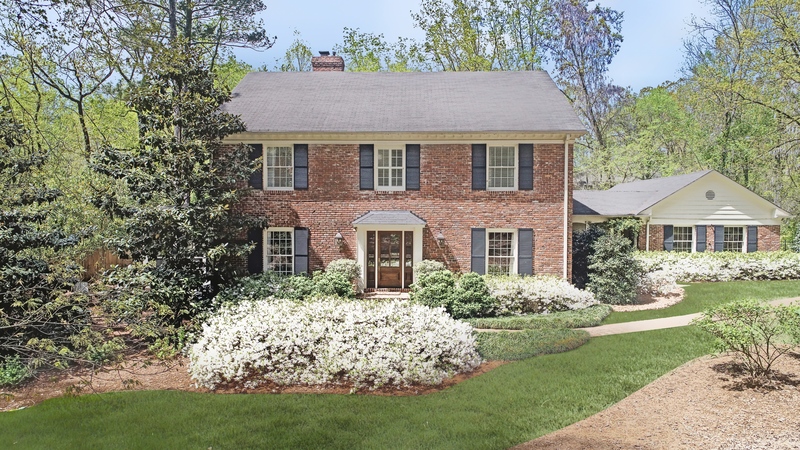 It has great curb appeal and is situated on a private lot surrounded by white azaleas and lovely landscaping. An elegant foyer flanked by a spacious living room and formal dining room welcomes guest to this lovely home. The kitchen is stunning and has been beautifully redone! It includes granite-topped inset custom cabinetry, a marble-topped island with bar seating, a tile backsplash and high-end stainless steel appliances including Dacor and Thermador. The kitchen is open to a light-filled family room featuring a fireplace, built-ins, large windows and a door to the patio and backyard. Also on the main level, there is a fabulous screened porch with a fireplace, a powder room and a very nice laundry/mudroom with a sink and cabinetry. Upstairs there are four bedrooms and three bathrooms including a large master bedroom with a stunning remodeled master bathroom featuring a double vanity, a freestanding tub, a tile shower with frameless frosted-glass doors and built-ins. Other special features include high ceilings, updated bathrooms, a tankless hot water system, a sprinkler system, a security system and more. Everything is beautifully done and move-in ready!